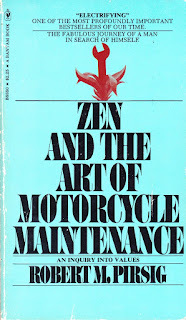 Happy 87th Birthday to Robert Pirsig. 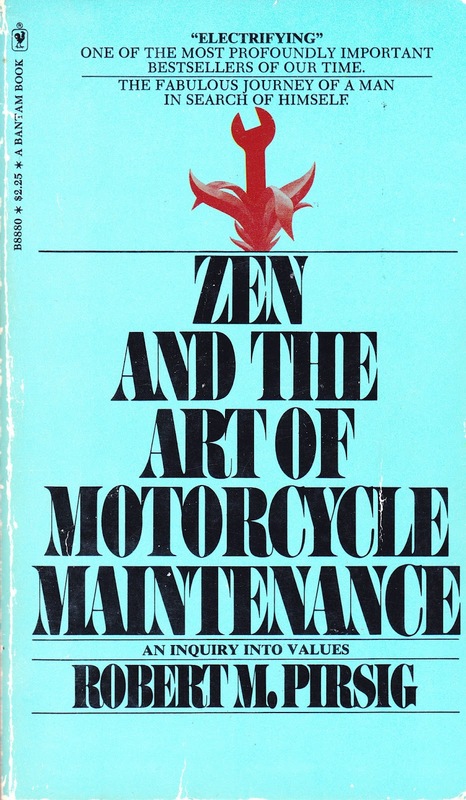 He is the author of the philosophical book Zen in the Art of Motorcycle Maintenance, in which he discusses the metaphysics of quality. Yes, it is a dusty book on our shelves, one of hubby's and he's encouraged me to read it time and time again. I guess it's time to dust it off and dig in. Dynamic quality cannot be defined. It can only be understood intellectually through the use of analogy. It can be described as the force of change in the universe; when an aspect of quality becomes habitual or customary, it becomes static. Pirsig calls dynamic quality "the pre-intellectual cutting edge of reality" because it can be recognized before it can be conceptualized. This is why the dynamic beauty of a piece of music can be recognized before a static analysis explaining why the music is beautiful can be constructed." Got it? Good. Me neither. For a more in depth explanation, check out the Dr. McWatt's Introduction to MOQ and for some entertaining insight, read CBCNews 40th anniversary review A Fresh Look at Robert Pirsig which includes an audio interview. 'Strange Weather in Tokyo' by Hiromo Kirikwami, lovely gentle love story translated from the Japanese original. I read The Bat Flies Low by Sax Rohmer. I just didn't get it linked before the linky expired.